The Dow Jones industrial average tumbled Tuesday on cautious guidance from three blue chip companies, but the broader market was supported by shares of two big industrial companies. 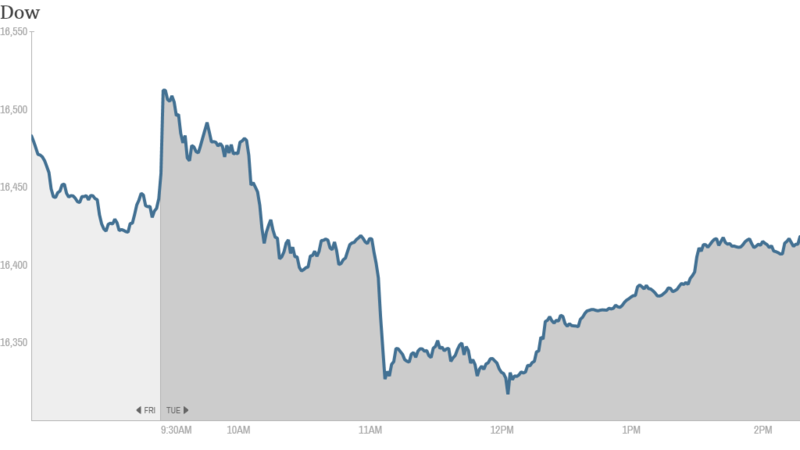 Although the Dow ended the day lower, it pared its losses during the afternoon. Verizon (VZ), Travelers (TRV) and Johnson & Johnson (JNJ) all weighed on the 30-stock index. The S&P 500 edged higher thanks to gains in shares of Dow Chemical (DOW) and former Dow component Alcoa (AA). The Nasdaq also moved higher. 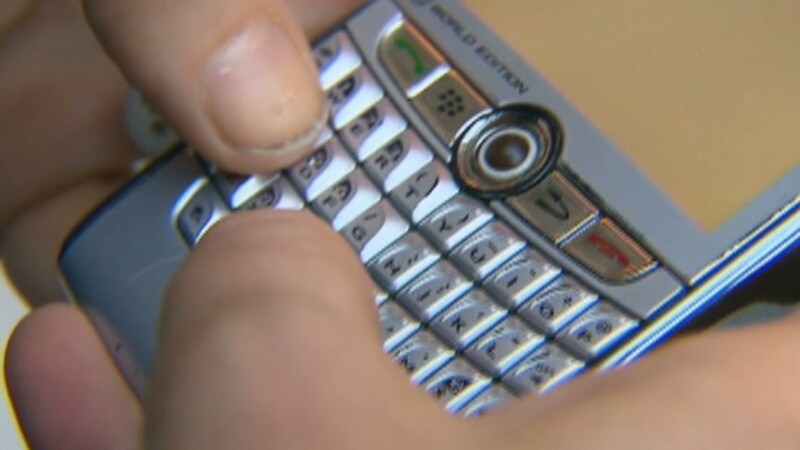 BlackBerry (BBRY) surged amid hopes the smartphone maker's new CEO John Chen will turn the company around. After last year's drubbing, BlackBerry is the best performing stock in CNNMoney's Tech30 Index so far in 2014. The Tech 30 was higher Tuesday, largely due to BlackBerry's big pop. Stocks have been off to a rocky start in 2014. After last year's big rally, investors are looking for signs the economy will be strong enough to keep the bull market going. But with little economic data on the agenda this week, investors are turning their attention to fourth quarter reports from big U.S. corporations. Earnings not good enough? Johnson & Johnson reported quarterly results that topped expectations, but shares fell on the company's cautious outlook for 2014. Earnings at Verizon were also better than expected, while revenue growth was in line. Travelers reported strong earnings thanks to lower catastrophe losses. Delta (DAL) shares gained after the airline's earnings came in above forecasts. Shares of Halliburton (HAL) fell despite better-than-expected results. Alcoa shares gained after analysts at JPMorgan upgraded the stock. After the market closed, IBM (IBM) reported earnings that topped analysts' expectations. But the stock fell in extended trading as sales missed forecasts. Microsoft (MSFT) and Netflix (NFLX) are among the companies due to report results this week. Overall, earnings are expected to be up 5.9% in the fourth quarter for the companies in the S&P 500, according to FactSet Research. A few weeks ago, the forecast was for earnings growth of 6.3%, but the estimate was revised lower this week due to disappointing reports, including lower profits in the energy sector. "So far earnings results have been overall supportive of stock prices even as the market has come under some degree of pressure after a spectacular performance in the year just ended," said John Stoltzfus, chief investment strategist at Oppenheimer. On the move. BlackBerry's huge surge made it a trending stock on StockTwits, where some investors were feeling vindicated. "$BBRY Patient longs are smiling today as others begin to see the value which was so obvious to some earlier," said zamphir. Other traders were still dubious. "$BBRY Can't believe this trash is up," said CramericaSucks. Expedia (EXPE) shares fell on reports the online travel company has lost 25% of its "search visibility" on the web. But at least one trader was skeptical about the report. "I don't think it is wise to exit any existing positions in $EXPE based on news from 1 blog. Especially two weeks before earnings," said DanStarr. Dow Chemical shares jumped after activist investor Dan Loeb's Third Point Capital announced a "significant" stake in the company. Loeb wants Dow to spin off its petrochemicals business, which he thinks should be cashing in on the U.S. shale gas boom, according to a letter posted on hvst.com. But one trader warned that investors who are blindly following Loeb's lead are being duped. "$DOW Following one active investor is a 'Sheep Behavior'. He is taking your money," said scottsdalem. Under Armour (UA) shares jumped after the sports apparel maker announced a 10-year contract as the exclusive outfitter of the University of Notre Dame's 26 varsity teams. European markets ended mixed. Asian markets rose Tuesday, supported by China's central bank injecting billions into the financial system to boost liquidity. Chinese stocks were also supported by a spate of initial public offerings, which come after Beijing ended a 14-month IPO ban.